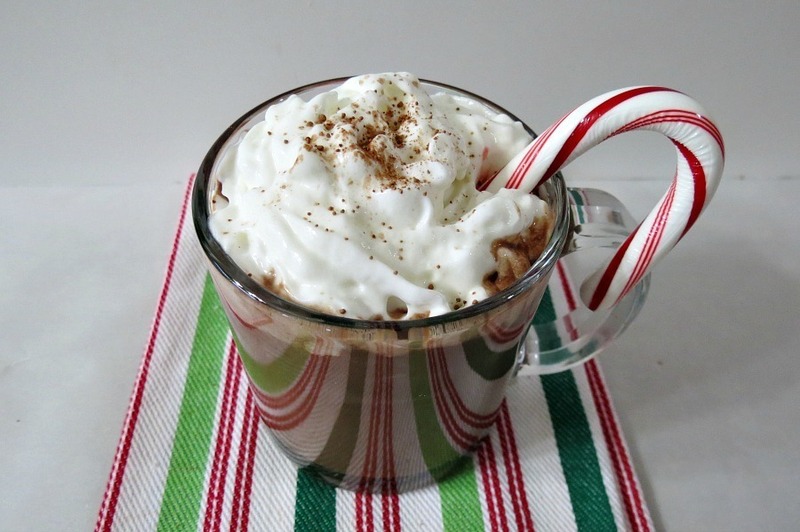 Monday: Super Chocolaty Hot Chocolate – This drink is simply amazing! It’s creamy, smooth and definitely satisfies the sweet tooth. Making it with unsweetened coconut milk, really gives it the creamy flavor!! My family was shocked on how good it tastes. I served this at Christmas breakfast! Tuesday (Christmas): Gingerbread Pancakes – I don’t know what it is, but whenever there is a holiday or celebration I like to make pancakes! They are just fun and I like decorating them. I think it’s my version to what normal people make at celebrations, which is cake!! 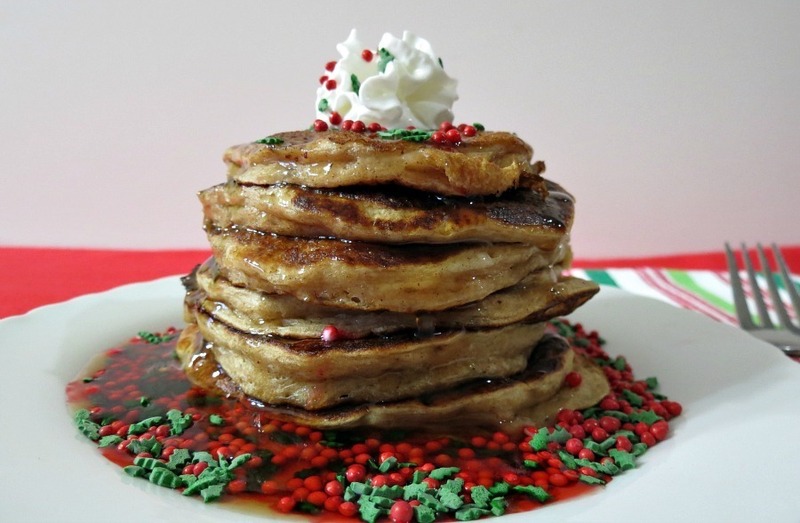 These pancakes are light, fluffy and a perfect replica of gingerbread! 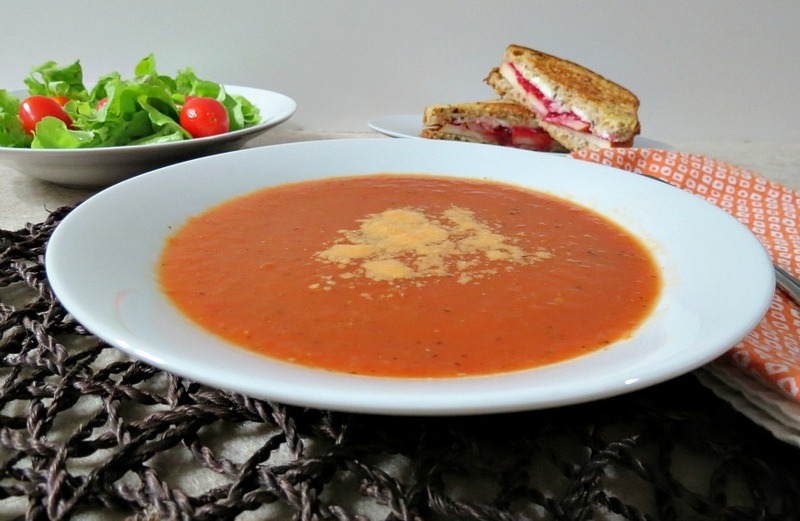 Wednesday: Tomato Soup – This is such an easy and quick dinner to make. It’ so perfect with a grilled cheese sandwich!! I really don’t think there is any more comforting soup, except maybe chicken noodle. Love my tomato soup!! Thursday: Homemade Nutella – This is pure danger around me!! It’s so good, creamy and chocolaty I think I have a bit of a sweet tooth this week! 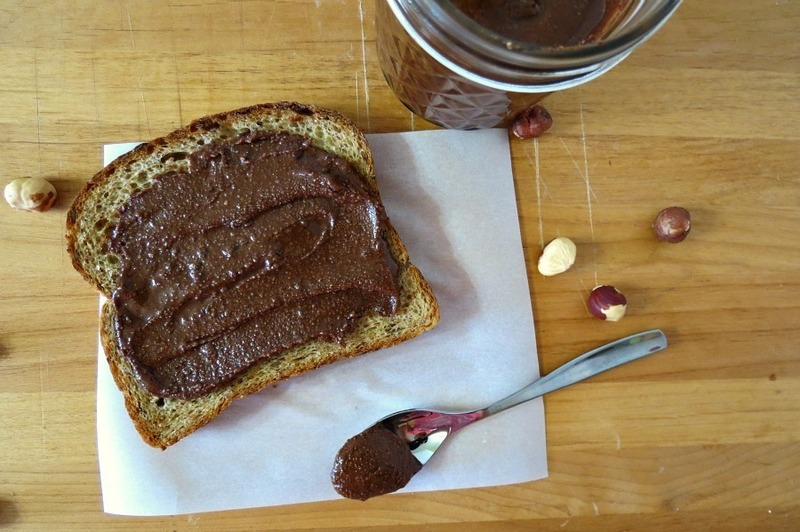 I’m telling you, if you like Nutella, you must try this recipe! It’s easy to make, and honestly I think it tastes better than Nutella. It tastes even better than next day! Glad I have left over hazelnuts because I can guarantee I am going to make this again this week!! 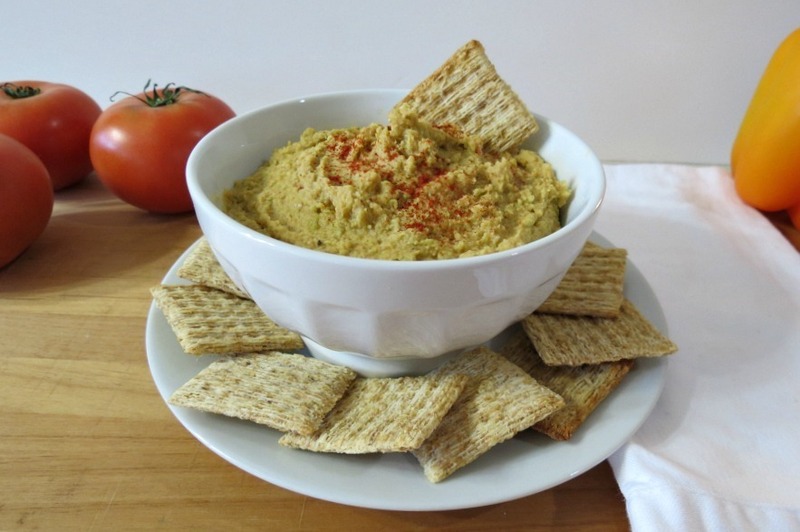 Friday: Smoked Paprika Edamame Bean Dip – This dip is amazing and so healthy for you! You can eat as much of it as you want and it is completely guilt-free!! I have been nibbling on this dip all weekend and I even put it on my veggie sandwich!!! 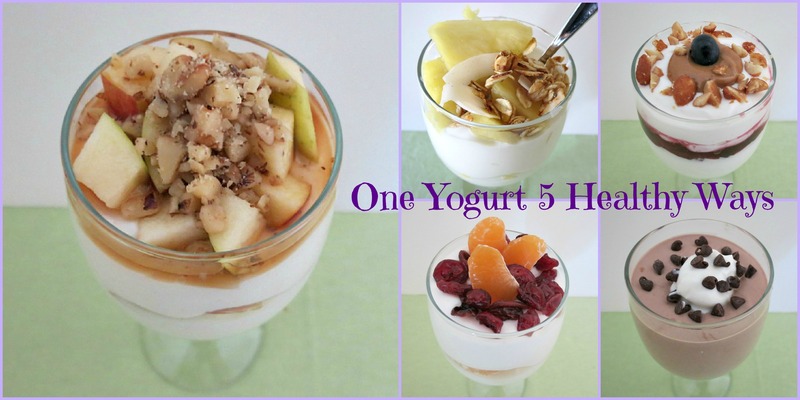 Saturday: Yogurt Toppings – You know how much I love yogurt! I don’t think there is a day that goes by that I don’t have it!! It’s so good! I really had fun creating all of these toppings! I have to say I don’t have a favorite topping because they are all good, depending on your mood. But the chocolate with the orange is my new go to one! I have it for my after dinner dessert! Well Guys, this is it for me today!! Have a wonderful rest of the weekend and Happy New Years!! P.S. 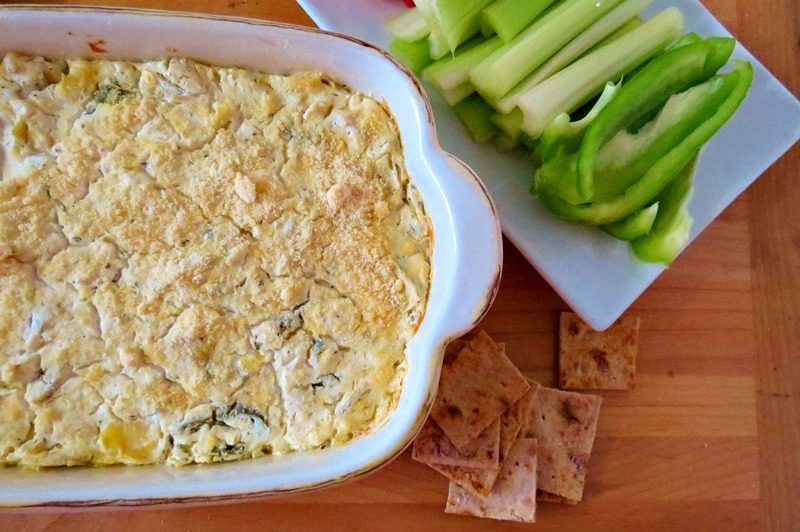 This weeks craving is Artichoke and Jalapeno Ranch Dip. I can’t get enough of this dip! I have made it 4 times since I posted this recipe a few weeks ago! It’s just so good!!! I know your pain, but no worries, it will pass so quick that you won’t even notice. You’re lucky that you have a dog. With my can there’s no place (except the one you can close with a key) that he won’t get into. I must say that a picture with a gingerbread pancakes is amazing. I love all the decoration. It looks so yummy. Ugh, renos are no fun, especially kitchen ones!! Hope it passes quickly and is totally worth it 🙂 That classic tomato soup is officially what I’m craving now, yum! Thanks Anna! It will go quick because my Husband doesn’t want to listen to me moan and groan, plus I refuse to buy groceries until the kitchen is done, so it’s throw it together what you have in boxes and freezer week and my Husband is not to thrilled about that!! lol Happy New Years!! Congrats on the new fridge and jazzed up kitchen. I feel your pain. When we redid our house we were at it for 3 months. It was wild, ate out every day. I still haven’t made homemade nutella. I need to get on that. At least my re-model is small and my Husband is moving pretty quick. It’s just a pain in the fanny and yes we have eaten out quite a bit! You have to try the Nutella, I am amazed how much it tastes like the real deal!